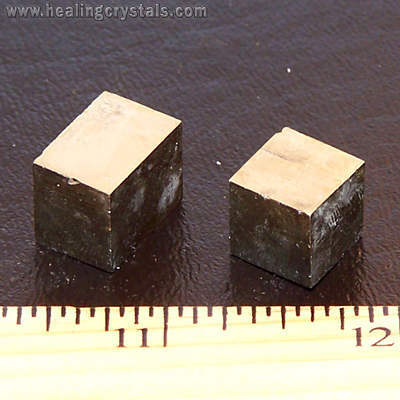 Pyrite Cubes such as these from Navajun, La Rioja, Spain, are appreciated all over the world for their high quality. These beautiful specimens are well formed. Cubes consolidate energy, creating a foundation for intention and grounding. Pyrite is often used in prosperity rituals, due to it's stimulating energies of manifestation. Great for grids!